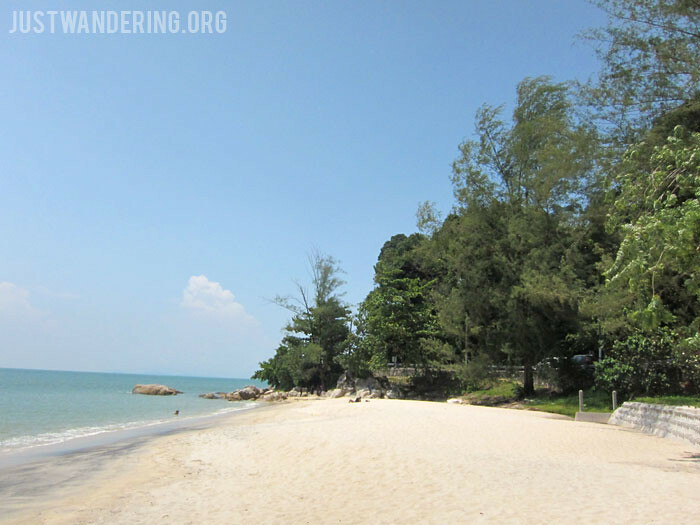 It’s been some time since I’ve been to Penang and Malaysia, so there have been some changes since my last visit. 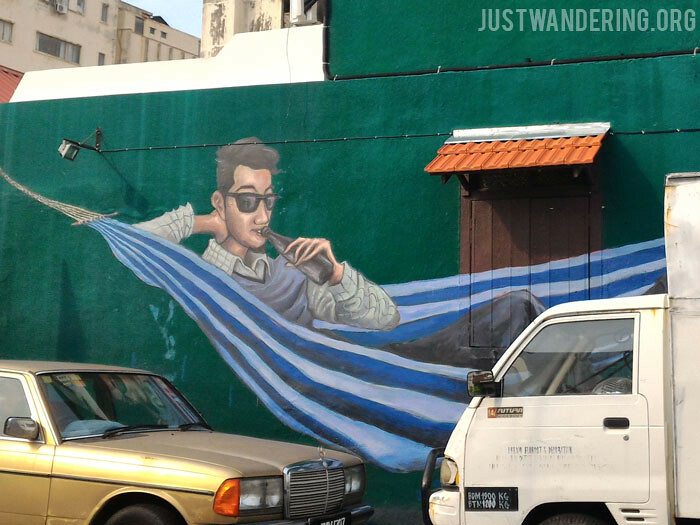 Here are some things that I’ve learned, which I hope can help you prepare for your trip to Penang. If you’re like us who had to fly through Kuala Lumpur via Cebu Pacific and AirAsia to get to Penang, you’ll be passing through and killing time in KL’s new airport terminal. From the gate, through the Gateway@klia2 mall in search for a money changer and a place to eat, buying coffee and a local sim card, all the way down to the Capsule hotel at the basement, we logged about 3,000+ steps. If you have a tighter connection than we did, take this into account so you won’t miss your connecting flight. KL’s airport is far from everything, so going all the way to the city will cost you time and money. 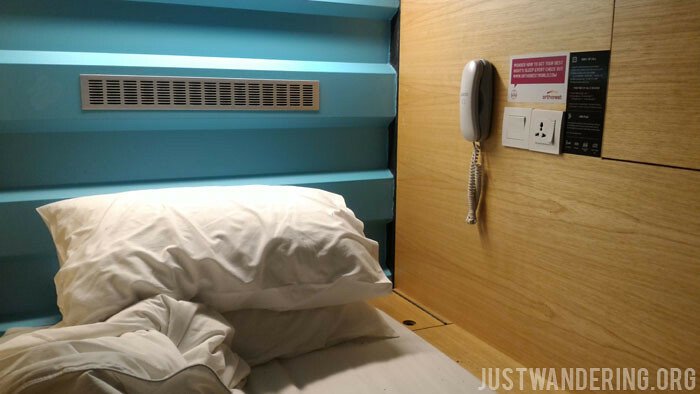 If you decide to sleep at the airport, know that there are not a lot of places where you can sleep comfortably in the airport or at the adjoining Gateway2klia2 Mall. It’s a bit expensive, considering you’re only staying for a couple of hours, but if you’re like me who find it hard to sleep in unfamiliar places and needs to look fresh and presentable when you arrive in your destination, it’s worth the price. Just note that the lockers they provide is right outside, so if you’re taking stuff from your bag (maybe your change of clothes and toiletries), make sure to pack them near the top or in your carry on so you can quickly get them before heading inside. I bought a local data sim so that I can have internet on my phone, and went with Maxis only because I got frustrated when I was at the Digi store. I bought the sim card for RM 20.60, which comes with data allowance for 7 days (which I consumed by Day 4). It was okay, except I get so much spam. Not just SMS, but also MMS spam! Make sure to disable autodownload MMS, if this becomes a problem. When we got to Penang, I was surprised to find out that our hotel in Batu Ferringhi were almost at full occupancy. It turns out many of the Middle Eastern tourists travel after Ramadan. Take that into account if you want to avoid crowds. 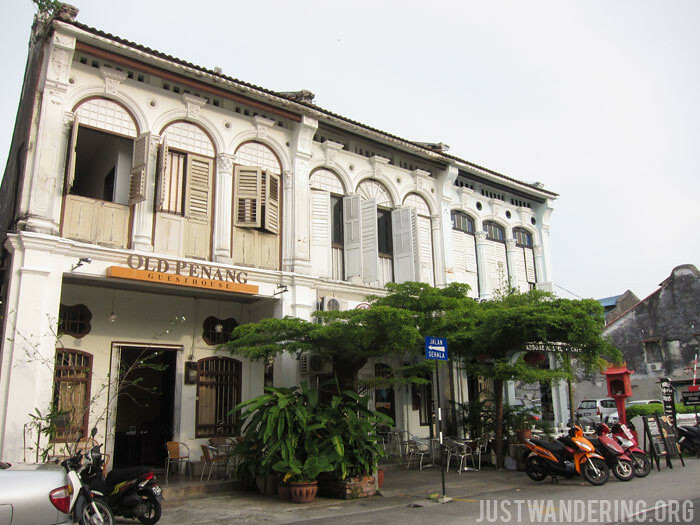 If you have at least 5 days to spend in Penang, try to split it with staying at Georgetown and then moving to Batu Ferringhi. 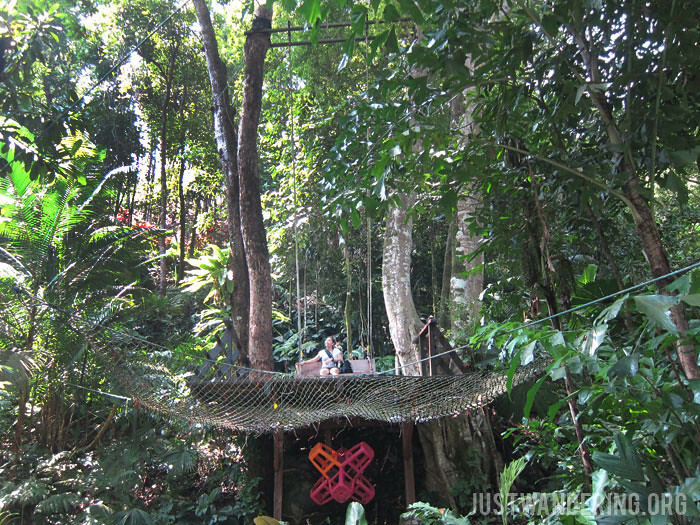 Batu Ferringhi has such a laid back feel, and it seems like a world away from Georgetown. It’s also quite touristy, so it’s a bit more expensive. Go early before the tourists flock in. The beach area is open to the public, so you can actually go through the hotels to access the beachfront. All the watersport activities are handled by third party operators, so they are not exclusive to the resort guests. The Starbucks beside the Holiday Inn has beach access and views, and is quite popular with visitors. However, if you want to avoid the crowds, check out the beach right across the Tropical Spice Garden. Not sure if there are toilets there, but you can get ice cream and assam laksa from the restaurants along the road. If you’re finding it hard to get rid of your coins, use them in the Rapid Penang Buses, which only accepts exact fare. 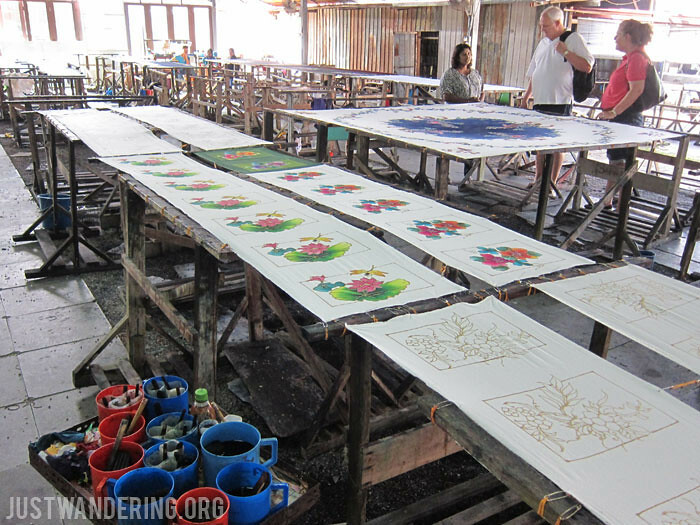 Riding the bus from the Batik Factory in Teluk Bahang to the Tropical Spice Garden costs RM 1.40, same with the ride from the spice garden to Rasa Sayang Resort. This is rather expensive, considering how cheap the local buses are. One adult pass costs RM 45, which is roughly the price of one-way taxi between Georgetown and Batu Ferringhi, so this might work out to your favor if you are going solo and in a hurry (they make limited stops unlike the public buses). However, do not confuse this with the FREE Central Area Transit Shuttle Bus that goes around Georgetown. Georgetown has small, narrow streets and plenty of buses and cars. It’s much better if you just walk around the city, especially if you’re after the street art. On Sundays, Beach Street and other nearby streets are closed to vehicular traffic. My biggest problem with taxis in Malaysia is that the drivers would rather not use the meter and sets a fixed price. In Penang, there are many taxi stands with taxis waiting, and 100% of the time, they charge a fixed price, depending on your destination. If situations like this frustrates you, it’s best to use your GrabTaxi or Uber app to get a ride. GrabTaxi is marketed as MyTeksi in Malaysia, but the same app I use in Manila worked perfectly well in Penang, without me having to create a new account. The time estimate is more accurate than in Manila, and the drivers do use their meter. There is no booking fee, but there is a RM 2 surcharge, with is imposed by the government. Since the first street art in 2012, many new street art has popped up around Georgetown. Make sure to pick up the Penang Street Art Map at the airport before you exit, so you know where to find them. 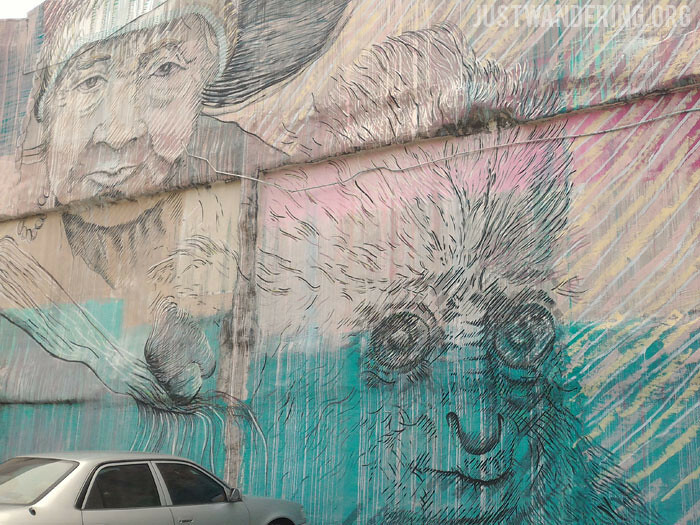 If you’d rather go digital, there’s a Google Maps of all the Penang street art here. Penang is the best place to gorge on street food. 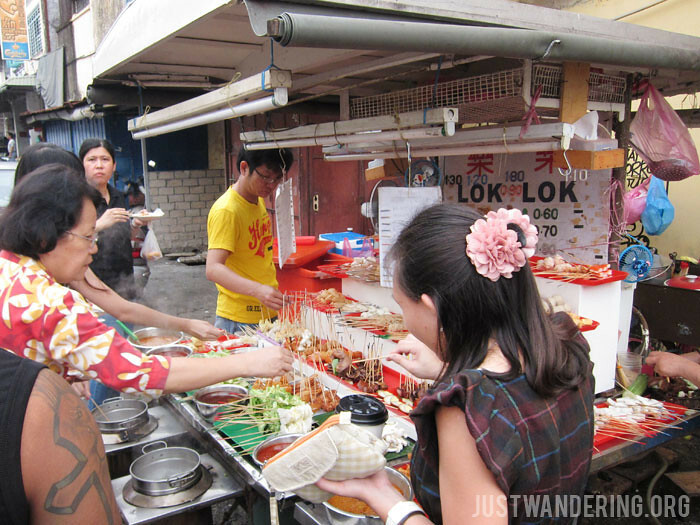 Penang Travel Tips has an exhaustive list of Penang Hawker Food you can try. My favorites: Penang assam laksa in Air Itam, roti tissue from Original Penang Kayu Nasi Kandar in Bayan Lepas, and chicken tandoori and cheese garlic naan set from Kapitan Restoran in Georgetown. 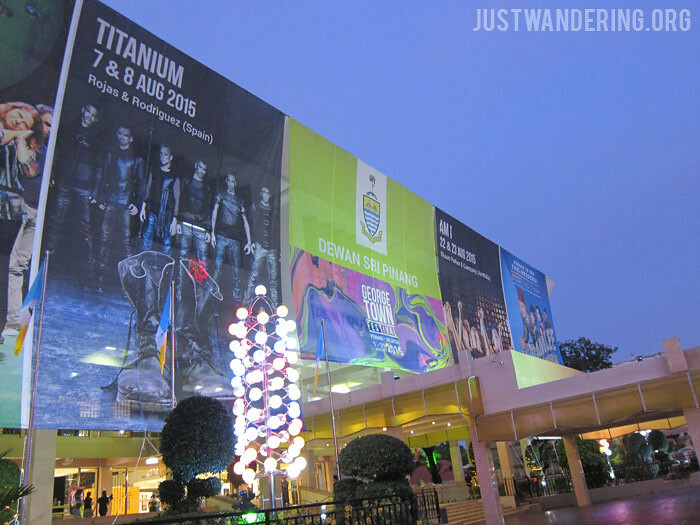 August is a great month to visit Penang. It’s the month of the Georgetown Festival, and there are many activities, exhibits, and shows scheduled for the entire month. We got lucky and was able to catch it as it started. Watch out for the schedule in their website so you can catch the exhibits and shows that interest you the most while you’re in town.